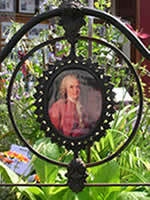 The Linnaeus Floral Clock was contained in an old iron bedstead, presided over by Linnaeus himself. Flowers opened and closed according to the time of day. Joint First Prize winners in the Group entry and the 'Peoples' Vote'. Every year on a Sunday in July the main street of Southwold in Suffolk is closed to traffic for the annual Adnams Flying Egg Alternative' competition. This year competitors entered the Alternative Clock exhibition and WLT took part for the first time, with a highly original version of The Linnaeus Clock. Linnaeus (the founder of modern botany) invented a clock of flowers that come out or close at different times of the day and as it is the Linnaean Tercentenary coming up, it is is even more appropriate that the Trust should have chosen this theme. 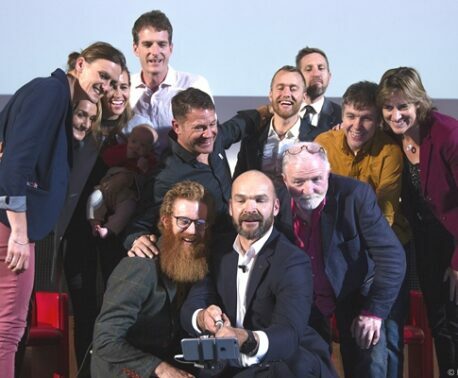 With almost a hundred clocks entering the competition, ranging from Michael Fish's Climate Change Clock to one man who stood inside his own prison cell in his entry called Doing Time, the WLT's entry was awarded joint First Prize in the Group entry and won £500. The Floral Clock also won the People's Vote. Thanks to sponsors: Woottens of Wenhaston (for supplying the plants), Bed Bazaar in Framlingham (for the bed), The Linnean Society of London for the information on Linnaeus and Sally and Jeremy Seeley of Drab who designed the stand.